We are kicking off December with our annual Holiday Market Bee Merry! The Studio will be open every Saturday in November 10am-2pm! The studio will be open every Saturday in November from 10am-2pm! MJ&G Studio and South & Main in Dalton are kicking off the holiday season with a Hello Holidays event! Just north of Pardeeville and in downtown Dalton (just 3.4 miles apart) the two shops will be open from 10am-2pm all done up for the holiday season. Some of our best witches are coming for a very spooktacular market. The Witches Moon Market is a festive night market Saturday October 13th from 5pm-9pm and fun for the whole family Sunday October 14th 9am-3pm. Join us in kicking off the Halloween season with this over the top event featuring ReKindled & Co. 1972 Winnobego Brave, Sadie -N- Stella, We Hart Junk, Simple Times Once Again , South & Main in Dalton, hosted by MJ&G Studio. 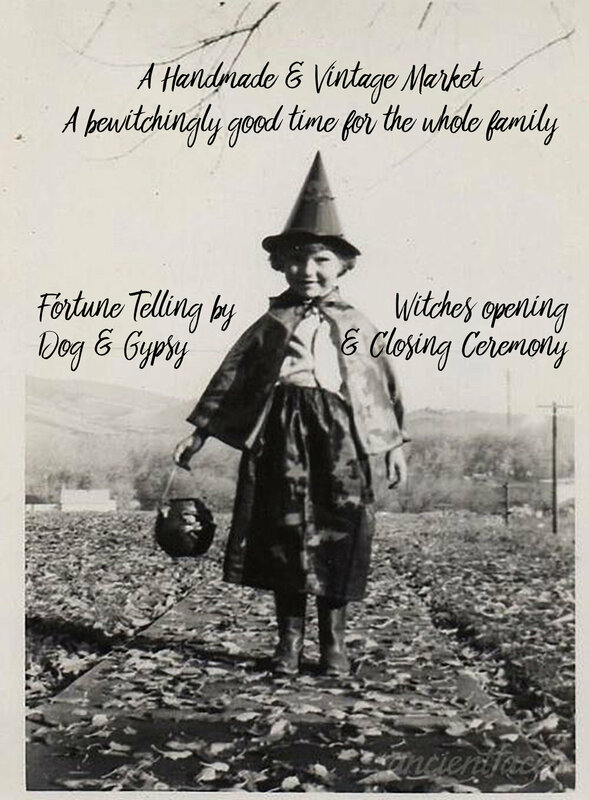 With special guest Dog & Gypsy telling fortunes and a very special opening and closing witches ceremony. Bring your whole family for vintage shopping and Halloween festivities. Quite possibly my favorite market of the year as it kicks off fall! Mj&G Studio, South & Main in Dalton and We Hart Junk are teaming up for some awesome sales! Special evening hours. The studio will be OPEN TO THE PUBLIC with the addition of makeup tips and tricks. Free makeup application available by appointment. Contact me to snag a spot! Things will certainly be buzzing at this market! 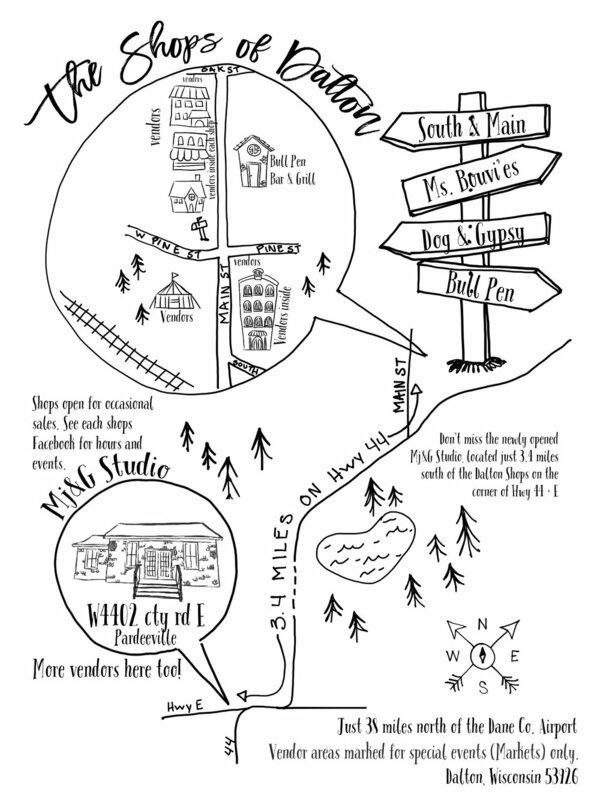 All four shops are open (Mj&G Studio, South & Main in Dalton, Dog & Gypsy, and Ms. Bouvies Vintage Market) the same hours. Each shop hosts additional vendors indoors and out. Vintage tractor show will be held at the Dalton Town Hall grounds. It's the first market of the year! It's Mother's Day weekend and we are very excited to be hosting our annual Bee Blooming Market. It's a great way to spend some time browsing all that the shops and vendors have to offer while spending time with your mom, family or girlfriends! We will be taking place in the Vintage Shop Hop as part of our Spring Opening! Visit us, and all the other Dalton shops, Friday and Saturday from 9am-3pm.